The mission of the Lynn Public School System is that all Lynn students will graduate from high school with the skills to make informed choices and pursue further learning as socially responsible citizens. The Lynn Public School System is committed to providing an outstanding academic, cultural, and technologically rich education to its students through the work of excellent teachers with high expectations. As part of our team teachers are provided myriad opportunities for collaboration, mentoring support, and professional development in standards based instruction with additional emphasis on strategies for teaching English Language Learners and special education students. Lynn is looking for self reflective, motivated, technologically literate teachers who are willing to work with veteran staff to learn and practice new skills and teaching strategies for the benefit of our students. Lynn needs teachers who are committed to the profession and see teaching as more than a short-term job opportunity. Our administration, in turn, will invest in those teachers with all resources possible. - Reduce the academic achievement gap in ELA and Math MCAS by 3 percentage points for the Students with Disabilities subgroup in grades 3 through 8. - Focus District Leadership Team and building leadership meetings on improving instructional practices through professional development, supervision and evaluation, looking at and analyzing data. - Identify and provide professional development and resources to identified schools through the Framework of Support model. - Assist school leaders in understanding and utilizing data to identify student learning gaps, link gaps to standards, and identify instructional strategies and/or interventions to effectively address gaps. - Leverage Extended Learning Time program for math in grades K through Grade 8. - Leverage Extended Learning Time program for Inclusion students at target schools. - Engage district-wide Meeting the Needs of English Learners professional development initiative. - Develop and implement Every Student Every Day attendance initiative. Goal - Engage a diverse group of educators and community stakeholders to develop a multi-year strategic plan complete with a collaboratively-developed vision and district core values. -	Identify and secure a consultant to lead participants through the process. Goal - Develop a strategy to recruit, professionally develop, and retain a diverse staff. -	Leverage findings from the Superintendent’s participation on the design team for the Massachusetts Department of Elementary and Secondary Education's "Influence 100 initiative". Goal - Develop (or identify) a comprehensive PreK - Grade 5 social-emotional learning curriculum framework and related professional development for full implementation in School Year 2019-2020. - Executive Director of Social and Emotional learning will convene a diverse team to identify or develop curriculum. - Professional development modules will be identified or created. Goal - Develop a multi-step multi-year plan to address overcrowding at the middle school level. Develop skills in strategy development, data analysis, and instructional leadership by completing the first year of the New Superintendent Induction Program and earning at least Proficient ratings on each major assignment. - Calendar documents attendance and contact with coach. - Rubric rating on each assignment demonstrates proficiency. - Attend eight day-long professional development sessions. - Complete assigned reading and leadership tasks. - Consult with the assigned coach at least monthly. 2018 Lynn Public Schools "Excellence and Innovation in Education"
2018 Lynn Public Schools "Facts Brochure"
This spring marks the start of the next-generation MCAS assessments in English language arts and math in grades 3-8. After considering for several years how to best update our already strong statewide assessment, the Board of Elementary and Secondary Education voted in November 2015 to maintain a test unique to our Commonwealth that would draw some of its questions from the existing MCAS, some of its questions from the PARCC assessment developed by a consortium of states, and some questions created specifically for the next-generation MCAS. This spring is the debut of that new test. The Board also voted to transition to computer-based testing. For the next-generation MCAS tests this spring, most students will take the computer-based version in grades 4 and 8. Many schools have also chosen computer-based testing in grades 3, 5, 6, and 7; the remainder will be taking the paper version. - Test results help parents gauge whether their children are making academic progress. - Test results help educators identify strengths and weaknesses in their curricula and instructional methods. - A student’s participation in statewide testing helps provide context to other students in the same school, students in other schools within the district, and students in other districts. Failure to participate denies this perspective not only to the student who refuses to participate, but to other students and parents in the school, district, and statewide. - Test results help the state target additional resources to underperforming schools. - Test results help document our progress to the Governor and the Legislature as we seek to ensure adequate funding for all our schools. MCAS was first instituted as part of the 1993 Education Reform Law. The programs and funding in that law have led to nearly a quarter-century of steady improvement in our K-12 schools. Today Massachusetts is number one in the nation in elementary and secondary education. Every year, some families ask whether students are allowed to opt-out of taking a statewide test. In brief, the answer is no. Testing is a mandatory part of the curriculum, the same as a spelling test or math test, and statewide assessments are most useful when all students take them. Neither the Commonwealth nor Congress provides an opt-out provision. Tenth graders who refuse to take MCAS jeopardize their high school diploma. In addition, refusals to test can impact a school’s accountability rating. The accountability system is set up to encourage high participation rates (if it weren't, results would not be reflective of school-wide achievement). The federal Every Student Succeeds Act (ESSA) requires a 95 percent participation rate. Schools with a lower participation rate run the risk of having their accountability rating lowered. Under draft regulations that the Board of Elementary and Secondary Education sent out for public comment on February 28, 2017, schools and districts that fall below a 90 percent participation rate will have their accountability status set to Level 3 (out of 5). Further, the 2016-17 and 2017-18 participation rates will be combined to determine participation rates for the 2017-18 accountability levels. In other words, refusals to test in spring 2017 could impact a school's accountability rating for two years. Students who refuse to take the MCAS test may remain in the testing room as long as they are sitting quietly and are not interfering with other students. If a student becomes disruptive, they should be removed from the testing room and placed in a safe location until testing is completed and regular classroom instruction resumes. Given that statewide standardized tests are a legal requirement, it is my department's expectation that all students will participate. More information about the next-generation MCAS, including information for parents, is available online at our MCAS page. Questions relating to testing refusals can be directed to Deputy Commissioner Jeff Wulfson at jwulfson@doe.mass.edu. Superintendent Dr. Patrick Tutwiler is pleased to announce his appointment of Eva O’Malley as the new Executive Director of Curriculum. Ms. O’Malley will replace Deb Ruggiero who was appointed Deputy Superintendent on October 1, 2018. The Executive Director of Curriculum leads the identification and implementation of curriculum, the related instructional practices and professional development district wide. Through a rigorous, multi-step process, Ms. O’Malley distinguished herself among an experienced and talented pool of candidates as one who is best suited for the role. Ms. O’Malley began her career in the Lynn Public Schools as a middle school special education teacher in 1987. In 2000, her work in the district evolved to include leading professional development for teachers. Additionally, during the same year, she began an adjunct teaching position at Endicott College – a role that she held for 14 years. In 2010, Ms. O’Malley was appointed the Assistant Director of Educator Quality, a Curriculum Department role she holds to this day. Fueled by her desire to sharpen school leadership skills, Ms. O’Malley sought and was awarded the Director of the Lynn Evening Enrichment Program (L.E.E.P.) in 2017. Ms. O’Malley is a 21st century visionary. She has a strong sense for the knowledge and skills students need to be successful and contributory in grades k-12 and beyond. At the same time, she pays close attention to the ever-changing nature of these requisite skills and knowledge and brings this information to bear on curriculum and professional development initiatives. The quality most admirable and undeniably visible to those with whom she works is Ms. O’Malley’s unshakable values. Ms. O’Malley’s approach to leadership and education in general, is grounded in a love for children and profound belief in their potential. This core value is present in her daily actions and interactions. Ms. O’Malley holds Bachelor Degree in Science Education from Bridgewater State University and Master of Education from Lesley. She will begin work as Executive Director of Curriculum on December 17th. Superintendent Patrick Tutwiler is pleased to announce the appointment of Phylitia Jamerson as Administrator of Special Education. Ms. Jamerson was previously the Assistant Director of Special Education for Academica, a charter school network of some 23 schools in Las Vegas, NV. For thirteen years prior to this leadership role Ms. Jamerson was a special education teacher, an experience that spanned schools in Las Vegas, NV and San Diego, CA. Ms. Jamerson earned a Bachelor of Science degree in Special Education from the University of Nevada - Las Vegas. She also successfully completed the Master of Arts in Leadership program at the University of Phoenix. Ms. Jamerson is licensed in Massachusetts as a special education administrator. Furthermore, she stays active in her membership with the Council of Exceptional Children and the Council of Administrators of Special Education. Ms. Jamerson immediately impressed the interview team with her depth of special education knowledge and her expressed (and exclusive) desire to work in Lynn. Her experience both as a leader and a teacher were focused on going to the greatest lengths to meet the needs of students, first foremost, but also building capacity around a set of collaboratively-built cohesive structures. There were clear matches around philosophy and values, the sum of which made her the absolute best candidate for the role. 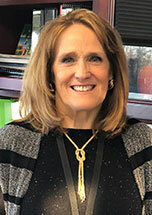 Superintendent Patrick Tutwiler is pleased to announce the appointment of Deb Ruggiero as Deputy Superintendent – assuming the position he held for the three previous years. Ms. Ruggiero is currently the Executive Director of Curriculum and Instruction, a position she held since January of 2018. Ms. Ruggiero will assume her new duties beginning in October 1, 2018. Ms. Ruggiero has worked for the Lynn Public Schools for the past thirty-two years. She has worn a variety of teaching hats over the span of twenty years, including but not limited to special education and classroom teacher. For three years prior to assuming her first principalship, Ms. Ruggiero honed her teacher coaching skills as a Curriculum and Instruction Teacher. Thereafter, she spent 11 years in building leadership roles, most recently at Harrington Elementary School. Ms. Ruggiero earned a Bachelor of Arts degree in Education from Lesley College, and a Master of Education degree specializing in reading and literacy from Endicott College. She also completed the Principal Preparation Program at the Merrimack Education Center. 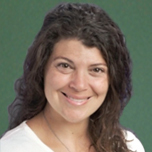 Ms. Ruggiero is licensed by the Massachusetts Department of Elementary and Secondary Education (ESE) as a teacher in early childhood, reading, and special needs; as an elementary principal; and as an administrator at all levels. She also holds the Sheltered English Immersion endorsement as required by the Department of Elementary and Secondary Education. Ms. Ruggiero distinguished herself among a very talented candidate pool. With experience, education, and license criteria satisfactorily satisfied, the hiring committee sought an individual who could bring to bear his/her leadership experience and knowledge of instruction on the support effort with building leaders. Further, the team sought a suitable senior leadership “teammate”, a professional who could push the collective thinking and whose core values and collaborative spirit are a match with those of the existing team. In every way measurable, Ms. Ruggiero demonstrated best fit with what was sought. While Ms. Ruggiero’s tenure in the Lynn Public Schools is extended, her addition as Deputy Superintendent reflects not necessarily a continuation of the way things are, but a forging forward in new and innovative, but collaboratively-explored ways. Ms. Ruggiero was born and educated in Lynn and graduated from Lynn English High School. She currently resides in Peabody and has three adult children. James E. Kennison will be the new principal of the Callahan Elementary School effective immediately. Currently serving as the Acting Principal, Mr. Kennison is actually a graduate of Callahan and is excited to be back where he started as a student. He began his teaching career as a Grade 3 teacher at the Sacred Heart School in Lynn in 2004, and he has taught at Shoemaker, Hood, Lincoln Thomson, Harrington, Connery and Tracy Elementary schools. He most recently served as the Program Specialist at the Connery Elementary School and has experience as a teacher of students with special needs and as a classroom teacher in Grades 2, 3 and 4. Mr. Kennison received a Bachelor of Arts degree from Salem State College, a Master of Education degree from Salem State University and an Educational Leadership Certificate from the Northeast Consortium Leadership Academy. He is licensed by the Massachusetts Department of Elementary and Secondary Education as an elementary teacher for Grades 1-6 and a Principal/Assistant Principal for Grades Pre K-6. He also holds the Sheltered English Immersion teacher endorsement. As well as being an experienced teacher and elementary administrator, Mr. Kennison has extensive knowledge of the elementary curriculum, is experienced in data analysis and curriculum alignment, and has experience planning and implementing professional development and facilitating grade-level common planning meetings to align instruction and pedagogical practices. Katia Spiess-Amsler will be the new principal of the Aborn Elementary School beginning July 2, 2018. Currently serving as the Acting Program Specialist at the Connery Elementary School, Ms. Spiess-Amsler began her teaching career at Aborn in 2006 as a third grade teacher. She has also taught at Brickett and Sewell-Anderson, and has spent the last eight years at Connery. She has experience as a classroom teacher in Grades 2, 3 and 4, worked as a Curriculum and Instruction Teacher, Math Specialist for Grades 3, 4 and 5 and a ultimately a Program Specialist. Ms. Spiess-Amsler received a Bachelor of Arts degree from Wesleyan University, a Master of Education degree from Salem State University and an Educational Leadership Certificate from the Northeast Consortium Leadership Academy. She is licensed by the Mass Department of Elementary and Secondary Education as an elementary teacher, an elementary mathematics specialist, an English as a Second Language teacher, and a Principal/Assistant Principal for Pre K-6. She also holds the Sheltered English Immersion teacher endorsement. 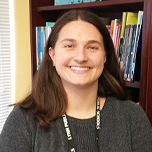 As well as being an experienced teacher, Ms. Spiess-Amsler assisted in writing the district science curriculum, has extensive experience in data analysis, curriculum alignment, and after-school programming, and has experience planning and facilitating grade-level common planning meetings to align instruction and pedagogical practices. She is highly motivated and enthusiastic to begin her new position. Ms. Spiess-Amsler is a resident of Lynn where she lives with her husband and two daughters. Superintendent Catherine Latham is pleased to announce the appointment of Carissa Karakaedos as the principal of Lynn Vocational Technical Institute. Ms. Karakaedos is currently the District Administrator of Essex North Shore Technical and Agricultural School and prior to that served for nine years as the Vocational Director and Assistant Superintendent of the Shawsheen Valley Regional Vocational Technical School District. She also taught at Lincoln Technical Institute and has been an adjunct instructor at Northern Essex Community College, the University of Massachusetts Boston and is currently an adjunct instructor at Fitchburg State University. Ms. Karakaedos earned her Bachelor of Science degree from Simmons College, a Master’s Degree in Educational Administration from Cambridge College and a Certificate of Advanced Graduate Studies in Educational Leadership from Salem State University. She is licensed by the Department of Elementary and Secondary Education as an Academic and Vocational Principal/Assistant Principal, Superintendent/Assistant Superintendent and School Business Administrator. Ms. Karakaedos has extensive experience in overseeing both vocational and academic programs, fiscal management of vocational programs, supervision and evaluation of instructional staff, management of community programs that include partnerships and adult education and the planning and delivery of professional development opportunities for all staff. She has also had direct experience dealing with the development of new Chapter 74 programs and building infrastructure with the Massachusetts School Building Authority. Ms. Karakaedos will replace Robert Buontempo who is retiring in June. She is highly motivated, well qualified and eager to take over the leadership of LVTI. The Lynn Public Schools begins a new focus in July when the district’s first Executive Director for Social/Emotional Learning, Carolyn Troy, begins. Currently the Administrator of Counseling, Health and Wellness for the Winchester Public Schools. Ms. Troy has worked in the field of social work in both the non-profit sector and the public school area since 1997. She has experience as a social worker, School Adjustment Counselor, a district-wide clinical specialist, and a K-12 school administrator. Ms. Troy holds a Bachelor’s Degree in Sociology and a Master’s Degree in Clinical Social Work both from Boston College. She is licensed by the Commonwealth as an Independent School Social Worker (LISCW), and holds licenses from the Department of Elementary and Secondary Education as a School Social Worker/School Adjustment Counselor, Director of Pupil Personnel Services and Superintendent/Assistant Superintendent. Ms. Troy began her work as a Mobile Crisis Clinician, Clinical Coordinator, Program Director and Group Facilitator for a non-profit in Dorchester, Massachusetts before moving to the Everett Public Schools where she spent four years as a School Adjustment Counselor and four years as District-Wide K-12 Clinical Specialist/Coordinator before moving to the Winchester Public Schools as the Administrator of Counseling, Health and Wellness. Ms. Troy is also an adjunct professor for Lesley University’s Graduate School of Counseling and Psychology and Framingham State College. Ms. Troy’s training includes, in part, short term therapy techniques with oppositional and defiant children and adolescents, crisis intervention, mental health first aid, PTSD, conducting sexual abuse evaluations of children, signs of suicide and depression awareness and social/emotional learning. Superintendent Catherine Latham is pleased to announce the appointment of two new principals for the Lynn Public Schools. Lissa Bloom, currently acting principal of the Early Childhood Center, will be the new principal at the Harrington Elementary School, and Nancy Cassidy, currently the Curriculum and Instruction Teacher at Drewicz, will assume the position of principal of the Early Childhood Center. Both will assume their new duties on January 2, 2018. Ms. Bloom has worked in the Lynn Public Schools for the past fourteen years in a number of teaching and administrative roles. She has taught in Grade 1, Grade 2, integrated Pre-K, Structured English Immersion with students for whom English is not their first language, and has been a Curriculum and Instruction Teacher at Harrington assisting all classroom teachers in standards-based instruction. 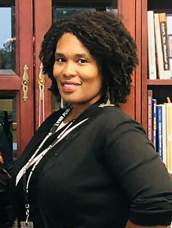 Prior to becoming the acting principal at the Early Childhood Center, she was the Program Specialist at Harrington, working closely with the Harrington principal in an administrative position. Ms. Bloom earned a Bachelor of Science degree in Human Resources and Family Development from the University of Connecticut, Storrs, a Master’s degree in Education from American International College, and a Certificate of Advanced Studies in Administration, Elementary Grades 1-6, from Gordon College. Ms. Bloom holds licenses from the Mass. Department of Elementary and Secondary Education in Early Childhood, and Principal/Assistant Principal (PreK-6), and she holds the Structured English Immersion endorsement from the Department of Elementary and Secondary Education. Ms. Bloom is experienced in standards-based curriculum and instruction, structured English immersion strategies to support the instruction of English language learners, and the educator evaluation system. She has participated in extensive professional development in the areas of formative assessment, teaching both reading and writing at the elementary level, data determined decision making, safety care, and trauma-sensitive classrooms. Ms. Bloom’s education, experience, motivation and enthusiasm are attributes that will greatly benefit the Harrington Elementary School as it strives to increase its wonderful gains. Ms. Bloom is married and lives in Peabody with her husband and puppy Graycie. Ms. Cassidy has worked in the Lynn Public Schools since 2001 as a Pre-K teacher, integrated kindergarten teacher and first grade teacher. Prior to that she was a Preschool teacher for the JOI Child Care Center in Lynn and served as its Executive Director for thirteen years. She is leaving her position as Curriculum and Instruction Teacher at the Drewicz Elementary School where she has served as the chairperson of the Student Study Team, the coordinator for the iRead and System 44 reading programs, a member of the School Leadership Team, the Family Engagement Committee and the Positive Behavior Intervention Support (PBIS) team. Ms. Cassidy received a Bachelor of Arts in Sociology from Boston College, a Master of Education in Special Education from Salem State College, and graduated from the Educational Leadership Program at Gordon College. As well as holding a license from the Massachusetts Department of Elementary and Secondary Education as a Principal/Assistant Principal (PreK-6 and 5-8), she is licensed in Early Childhood and Moderate Disabilities and holds the Structured English Immersion endorsement from the Department of Elementary and Secondary Education. Ms.Cassidy’s entire career has been spent in early childhood education not only as a teacher but also as an administrator and mentor. She has extensive experience with the curriculum and instruction required at the early childhood level, is well versed in the REACH for reading program and the Six Traits of Writing curriculum used in all of our elementary schools, and has expertise and experience in the education of students with disabilities. Her background, experience and motivation make her the prime choice as the new principal of the Early Childhood Center. Ms. Cassidy lives in Lynn, has four adult children, and has been mother to a number of foster children. Superintendent Catherine Latham is pleased to announce the appointment of Ms. Kimberlee Powers as the new Deputy Superintendent for the Lynn Public Schools. Ms. Powers who is currently the Executive Director for Curriculum and Instruction has worked for the district since 1991. She will officially begin her new duties on October 2, 2017 replacing Dr. Jaye Warry who is retiring after thirty-six years with the district, eleven as Deputy Superintendent. Ms. Powers holds a Bachelor of Social Work degree and a Master of Education degree with a concentration in Educational Leadership both from Salem State College. In addition to her work as an elementary teacher and a Curriculum and Instruction Teacher, she was the principal of the Ingalls Elementary School for eight years prior to holding a district level position. As well as her extensive experience as a teacher, building principal and district administrator, Ms. Powers is an experienced social worker who began her professional career working for the Department of Children and Families. This early experience as a social worker combined with her extensive experience as an educator gives her unique insights into working with children, families, educators and community agencies. Ms. Powers is well prepared, enthusiastic and energized by the opportunities that this new position will provide. 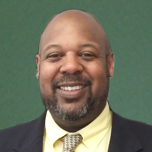 Superintendent Catherine Latham is pleased to announce the appointment of Anthony Frye as the new principal of the Washington Elementary School. Mr. Frye is currently the Acting Principal of Ingalls Elementary School and has worked for the Lynn Public Schools for the past eighteen years. He has taught pre-kindergarten, kindergarten, first grade, second grade, first grade English language learners, and elementary reading. Prior to assuming the Acting Principal position at Ingalls, Mr. Frye served as the Program Specialist at Ingalls. Mr. Frye earned a Bachelor of Arts degree in Psychology from North Adams State College in North Adams, Massachusetts, and a Master of Science degree in Educational Administration with a concentration in Grades Pre-K to 6 from Cambridge College in Cambridge Massachusetts. He is licensed by the Massachusetts Department of Elementary and Secondary Education (ESE) as an elementary principal and as a teacher for Grades Pre-K through 3. He also holds the Structured English Immersion endorsement as required by ESE. Mr. Frye is experienced in data analysis; standards based curriculum planning and delivery; the educator evaluation system; and structured English immersion techniques to assist in the education of our English language learners. He is well-prepared, eager, enthusiastic and highly motivated to lead the STEM focused (science, technology, engineering and mathematics) Washington Elementary School. Mr. Frye is a resident of Lynn, is married and has two daughters. Superintendent Catherine Latham is pleased to announce the selection of Ms. Mary Foster as the new principal of the Lincoln-Thomson Elementary School. Ms. Foster is currently the Program Specialist at Callahan Elementary School. She has been involved in elementary education for over twenty-one years and has spent seventeen years at Lincoln-Thomson as a kindergarten and first grade teacher, librarian, curriculum and instruction teacher, English Language Arts/Mathematics Specialist and Acting Principal. Ms. Foster received a Bachelor of Science degree with a major in Early Childhood Education and a Master of Education degree with a concentration in Library Media Studies, both from Salem State College. She received a Certificate of Advanced Study of Education from the Northeast Consortium’s Merrimack Education Center and received Principal/Assistant Principal licensure. She also holds certification as a Wilson Language teacher. Ms. Foster has experience in standards-based curriculum planning, data analysis, common assessment development, the teacher evaluation system, and the design and scheduling of school based professional development. 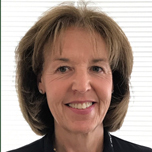 She has served as a member of School Improvement Planning teams and is intimately familiar with both the Massachusetts State Frameworks and the district curriculum and instruction programs that are designed to support those Frameworks. 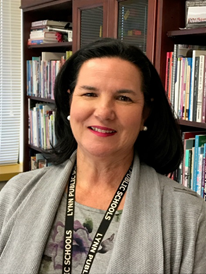 Ms. Foster will bring extensive elementary experience to her new position and, because of her long term association with the Lincoln-Thomson Elementary School, will provide a seamless transition as long-term Principal Helen Mihos retires after thirty-seven years with the Lynn Public Schools. Ms. Foster is a long time Lynn resident and a graduate of Lynn Classical High School. She is the mother of two boys who also attended the Lynn Public Schools. Superintendent Catherine Latham has announced that Ingalls Elementary School Principal Irene Cowdell will temporarily become the Acting Principal of the Washington Elementary School effective immediately. While Ms. Cowdell takes over the reins at Washington, Ingalls Program Specialist Anthony Frye will become Acting Principal at Ingalls. Former Washington Principal John Licorish resigned at the end of July. Superintendent Catherine Latham is pleased to announce the appointment of Christina Colella as the principal of the Shoemaker Elementary School. Ms. Colella will replace Patricia Riley who will retire on March 1st of this year. Ms. Colella, a Lynn resident and graduate of the Lynn Public Schools is an experienced educator. She began her career as a third grade teacher in a Structured English Immersion class at the Harrington Elementary School and also has had classroom experience at the Connery and Sisson Elementary Schools. Ms. Colella, a Lynn resident and graduate of the Lynn Public Schools is an experienced educator. She began her career as a third grade teacher in a Structured English Immersion class at the Harrington Elementary School and also has had classroom experience at the Connery and Sisson Elementary Schools. She has taught Grades 2, 3 and 4 and has been a Curriculum and Instruction Teacher and a teacher of students who are newcomers to the United States. She has been the Program Specialist at Harrington Elementary School for the past three years and during that time was the acting principal while Harrington Principal Ruggiero served as the interim principal at the Ford Elementary School. Ms. Colella received a bachelor’s degree from the University of Massachusetts Amherst majoring in English with a minor in Early Childhood Education, and a master’s degree in Education from the University of Massachusetts Lowell majoring in Curriculum and Instruction. She has also completed the Principals’ Preparation Program as part of the Northeast Consortium’s Merrimack Leadership Academy. Licensed by the Department of Elementary and Secondary Education as an elementary teacher, a teacher of English language learners and as a principal, Ms. Colella is experienced in data driven decision making, school law, school finance, standards based curriculum planning and delivery, and strategic planning in special education. Ms. Colella is excited and highly motivated to continue the excellent tradition of leadership at the Shoemaker School. Ms. Colella and her husband have three children the oldest of whom attends the Aborn Elementary school in Lynn. The superintendent is pleased to announce the appointment of Ms. Mary Panagopoulos as the new principal of the Sewell-Anderson Elementary School. Effective July 1, 2015, Ms. Panagopoulos will replace Ms. Patricia Mallett who will retire at the end of the school year after serving the Lynn Public Schools for over 40 years, the last nine as the principal of Sewell-Anderson School. Ms. Panagopoulos, a Lynn resident and graduate of the Lynn Public Schools, is also a seasoned Lynn Educator with over 30 years of experience. She began her career as a teacher of students with special needs and has served at Connery, Drewicz, Harrington, Ingalls, Shoemaker, and Tracy. She is currently the Curriculum and Instruction teacher at the Drewicz Elementary School. 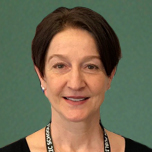 At Drewicz she serves as the MCAS coordinator, a member of the instructional leadership team, the Student Study Team coordinator and as acting principal. For the past three years she has served as the coordinator of the Lynn Public Schools Tutorial in Place summer program, a collaborative summer program with outside agencies, private home day-care providers and the Lynn Public School Department. Over her years in education she has developed excellent relationships throughout the Lynn Public Schools and with our community partners. Ms. Panagopoulos received a Bachelor of Arts degree in education from Lesley College, and a Master of Education degree from Salem State College. She holds licenses with the Department of Elementary and Secondary Education in elementary education, moderate special needs and elementary school administration; and she is a certified Wilson reading instructor and a trained Safety-care Behavioral Safety specialist. She brings a wealth of experience and knowledge to support differentiated instruction for all students and is dedicated and motivated to continue the excellent academic successes seen at the Sewell-Anderson Commendation School. 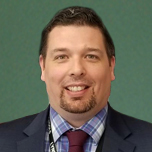 Superintendent Catherine Latham is pleased to announce the appointment of Dr. Patrick Tutwiler as the new Deputy Superintendent for the Lynn Public Schools. Dr. Patrick Tutwiler, an experienced educator, will be leaving his current position as Headmaster of Brighton High School in Boston and will officially begin his duties as Deputy Superintendent for the Lynn public Schools on July 1, 2015. Dr. Tutwiler holds a Bachelor of Arts in History from The College of the Holy Cross, a Master of Education from Harvard University Graduate School of Education, and a Doctor of Philosophy in Curriculum and Instruction from Boston College’s Lynch School of Education. Previous to his current position at Brighton High School, he was the principal of Wayland High School, Dean of Students at Westford Academy, and Assistant Headmaster at English High School in Boston. He began his career as a World History and United States History teacher at Brighton High School. Dr. Tutwiler is well prepared for this new position and brings a wealth of knowledge and experience in secondary curriculum and program development. He is a strong proponent for inclusion at all levels and for all students and is experienced in working with community organizations and educational institutions. He is enthusiastic and energized to both support and stimulate our vision for the Lynn Public Schools. The superintendent is pleased to announce the appointment of a new principal for the Thurgood Marshall Middle School. Ms. Molly Cohen, an experienced educator with the Lynn Public Schools, will be leaving her current position as vice principal at Breed Middle School to officially take over leadership of Marshall on January 5, 2015. Ms. Cohen has extensive experience as a teacher, guidance counselor and school administrator. She began her career in public education in Salem Massachusetts as an English as a second language teacher and came to the Lynn Public Schools in 2005 as a sheltered English immersion teacher at Lynn Vocational Technical Institute. She has also served as the bilingual guidance counselor at Lynn English High School and as the vice principal at Breed Middle School. Previous to her public school work she was a teacher of English as a foreign language in Chile and English as a second language in Boston. Ms. Cohen received a Bachelor of Arts degree from the University of Vermont Burlington with a dual major in English and sociology, a Master of Arts in Teaching English as a Second Language degree from Simmons College, a Master of Education degree in school counseling from Salem State College and received her principal license after completion of the Merrimack Leadership Academy program. Ms. Cohen is proficient in written and oral Spanish, knowledgeable in curriculum and instruction planning and implementation, skilled in data analysis, and experienced working with community agencies. She brings excellent organizational skills to her new position and is well prepared and eager to transition faculty, staff and students to the new Marshall Middle School which is scheduled to open in September 2016. 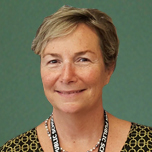 Superintendent Catherine Latham is pleased to announce the appointment of Patricia Hebert, currently the Program Specialist at the Ingalls Elementary School in Lynn, as the new Principal of the Drewicz Elementary School. Ms. Hebert holds both a Bachelor of Science degree and a Master of Education degree from Salem State College with double majors in elementary education and psychology. She is licensed by the Massachusetts Department of Elementary and Secondary Education as a principal and an elementary and middle school teacher. She received her principal license after participating in the Commonwealth Leadership Academy. Ms. Hebert is an adjunct faculty member at North Shore Community College in Lynn and Northern Essex Community College in Haverhill. 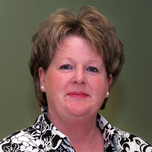 Ms. Hebert has taught since 1997 and has elementary experience in Florida, North Carolina and Methuen, Massachusetts. Working in the Lynn Public Schools since 2001, she has taught Grade 1, Grade 4, Grade 5 and Grade 6. She was an elementary and middle school mathematics teacher at the Ford School and Ford School Annex and has taught English language arts, science and social studies at the elementary level. She is a strong proponent of the philosophy that the state standards in reading and writing are essential standards that are applicable across the curriculum to all content areas. As a member of the Ingalls Elementary School leadership team, Ms. Hebert has had extensive training in Universal Design for Learning at Harvard University, a practice-oriented program that provides a blueprint for creating flexible goals, methods, materials and assessments that enable all students to succeed in the classroom. While at Ingalls, Ms. Hebert was a member of the Family Engagement Alignment Team, a member of the School Improvement Committee, the MCAS and ACCESS test coordinator, and an active participant in planning team meetings for students with special needs. Ms. Hebert is a dedicated educator and a capable and committed leader who will use her extensive experience and fine leadership skills to work closely with parents in the Drewicz School community, to encourage, support and assist her teachers, and to provide an optimal learning environment and program for every child. Superintendent Catherine Latham is pleased to announce the appointment of Mr. Richard Held as the Acting Assistant Director of Curriculum and Instruction for Science. Mr. Held has worked in the Lynn Public Schools for the past sixteen years as a grade 5 teacher and as a science and technology specialist, most recently at the Aborn School. He has an in-depth knowledge of the science curriculum and extensive experience with educational technology. Mr. Held has done comprehensive work preparing science lessons integrated with technology for all grades at the elementary level, and he is currently preparing additional lessons and professional development activities that will address the upcoming implementation of the Next Generation Science Standards. Mr. Held received a Bachelor of Arts degree, majoring in both elementary education and psychology, and a Master of Arts degree from Salem State University. He is a member of the National Science Teachers Association, the Massachusetts Engineering Leadership Committee, and the Gateway STEM Project in collaboration with the Museum of Science. Prior to becoming a teacher, Mr. Held had a career in business management and will, no doubt, use his well-honed management skills in this new appointment. Mr. Held will begin by concentrating on the elementary science program and will eventually expand his focus to include the middle school science program. He is excited, enthusiastic and well prepared to begin work to solidify our elementary science program and bring consistency and uniformity to elementary science instruction throughout the district. Superintendent Catherine Latham is pleased to announce the selection of Ms. Susanne Garrity as the new principal of the Cobbet Elementary School. Ms. Garrity has been at the Harrington Elementary School for the past thirteen years as a teacher in grades one and three, a curriculum and instruction teacher and currently as the Program Specialist. She has extensive experience in standards-based curriculum design and lesson planning, the analysis of data, differentiated instruction, and the planning and presentation of professional development targeted to the needs of an individual school and faculty. She has done extensive professional development for the district in classroom management, reading comprehension, differentiated instruction, and in the implementation of the new teacher evaluation system. Ms. Garrity graduated from Colby-Sawyer College with a Bachelor of Science degree in Child Study and received a Master of Education degree from Salem State College in Early Childhood Education. Prior to becoming a teacher she worked as an administrator in a therapeutic pre-school for traumatized children where she developed, implemented and supervised their therapeutic curriculum and play therapy. Ms. Garrity brings a wealth of experience and knowledge to her new position. She is well versed in the common core curriculum and in the policies and practices demanded by both the district and the Department of Elementary and Secondary Education, and she is blessed with outstanding human relations skills. She will bring excellent leadership to Cobbet and is well prepared to work in an atmosphere that demands a high level of accountability. Michelle Flynn will be assuming the position of Assistant Director of Curriculum and Instruction for Early Childhood, the position vacated by Ms. Mahoney. She has worked for Lynn Public Schools for more than 30 years and holds licenses in early childhood education, elementary education and the education of students with special needs. She taught kindergarten and pre-kindergarten classes for 26 years. Ms. Flynn is currently Program Specialist for Early Childhood and has been responsible for programmatic and fiscal oversight of the Early Read First initiative. She has worked closely with Ms. Mahoney on all of our early childhood grants and early childhood programs and, most recently, has served on the team providing training on the new educator evaluation system and the district team working with School Works monitoring site visits for our Level 3 schools. Ms. Flynn earned a bachelor's degree in special education from Bridgewater State University and a master's degree in education from Cambridge College. Her extensive experience and lifelong dedication to early childhood education at both the school and district level make her a perfect appointment to maintain and advance the excellent programmatic and fiscal integrity of the early childhood programs in Lynn Public Schools. On behalf of the Lynn School Committee and our principals, directors, teachers and other staff, I extend a warm welcome to parents and others to visit our schools and classrooms. Active involvement of families and the community in our students’ education is a key to student success and one of my highest priorities. To keep our students and staff safe and secure, and to keep classroom disruptions to a minimum, we have developed guidelines for visiting all Lynn Public Schools. “Visitors” include all parents and school department employees, as well as others. Please visit our Policies and Guidelines webpage for all the details. 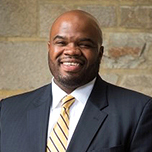 Dr. Patrick Tutwiler joined the Lynn Public Schools in July 2015 as Deputy Superintendent, leaving his position as Headmaster of Brighton High School in Boston. Previous to the position at Brighton High School, he was the principal of Wayland High School, Dean of Students at Westford Academy, and Assistant Headmaster at English High School in Boston. He began his career as a World History and United States History teacher at Brighton High School. Dr. Tutwiler holds a Bachelor of Arts in History from The College of the Holy Cross, a Master of Education from Harvard University Graduate School of Education, and a Doctor of Philosophy in Curriculum and Instruction from Boston College’s Lynch School of Education. With respect to his role as Superintendent, he operates according to a set of core values easily captured in the following statement: as an educational leaders, we must love the student, the teacher, and the craft of teaching, none more than the other, but in that order.